The United States Naval Academy Silent Drill Team is a rifle platoon that performs a unique precision drill exhibition. The team competes at invitational drill meets around the nation. The Midshipmen represent the Naval Academy and the United States Navy in a wide variety of public appearances, to include local dress parades, sports half-time shows, local military events, and other special performances. In recent years the "Jolly Rogers" have performed at Disney's Epcot Center in Orlando, FL, Madison Square Garden in New York, NY, Mardi Gras in New Orleans' French Quarter, University of Michigan, Washington, DC, and many other special occasions by invitation. The performing "block" of the Jolly Rogers is a highly disciplined group of 12 men and women. Each member of the exhibition platoon carries the M-14 rifle, the same weapon issued to the rest of the Brigade of Midshipmen. It weighs approximately 11 pounds in its performance configuration, slightly more with the added weight of a bayonet. Each member of the team trains rigorously in order to memorize the entire performance routine and execute it without any verbal commands. The team also has a platoon which competes in Basic Armed Drill as well as two man trick routines performances. 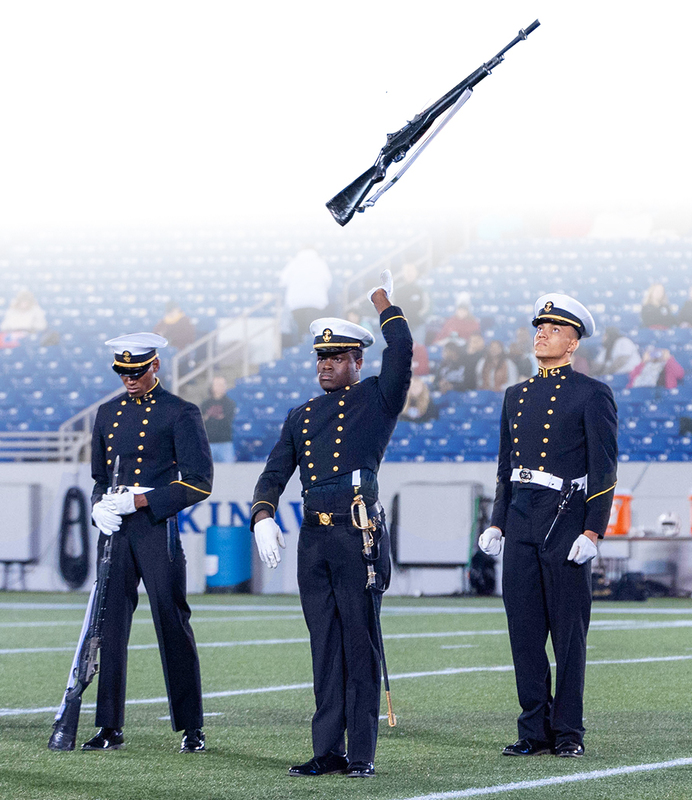 If you are interested in scheduling a performance by the USNA Silent Drill Team, please send us a direct message on either our Facebook and Instagram pages. 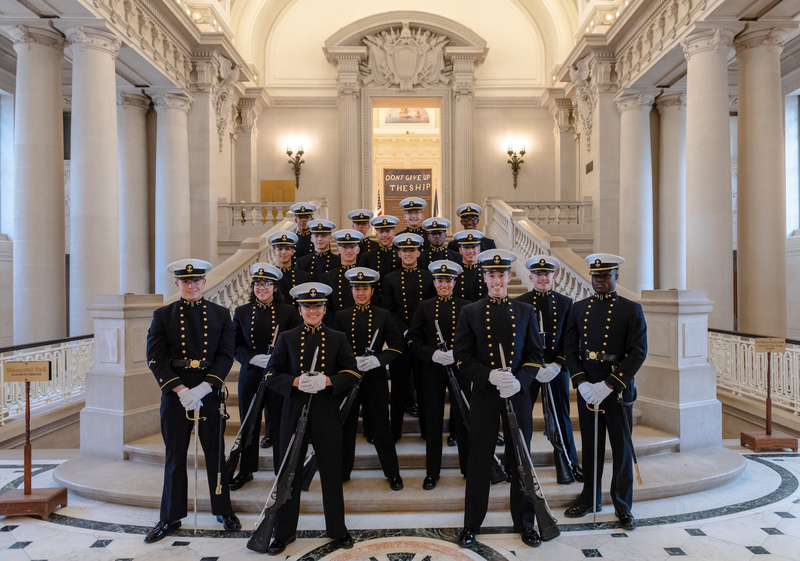 The United States Naval Academy Silent Drill Team, "The Commandant's Own," was established in September of 1990 by a group of Midshipmen. The Jolly Rogers' missions include performing at various Naval Academy sporting events and official ceremonies.